The cold water from a creek flowing into the Colorado River was pure joy and relief. In mid-afternoon, the thermometer in the Bright Angel campground showed 38 degrees Centigrade in the shade, which meant mid-to-high 40s in the sun. The ranger there recommended sitting in the creek, with clothes on, soaked, to keep body temperature normal. 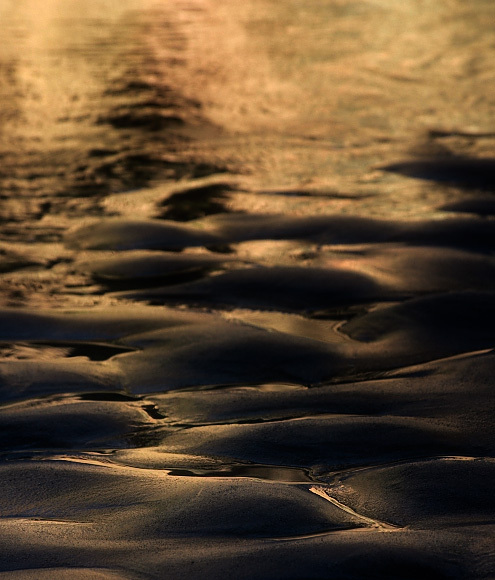 These sands on a beach near the campground are bathed in light reflected off the towering walls carved by the river.